It was inaugurated last Thursday at Centro Ceco (Czech Cultural Centre) in Milan a photo exhibition that is going to be open till January 10. The layout offers for the first time the shots of three Czech soldiers equipped with cameras: Gustav Brož, Jan Myšička and Jenda Rajman. This exhibition represents a world preview of these three different collections that have been unseen for decades. 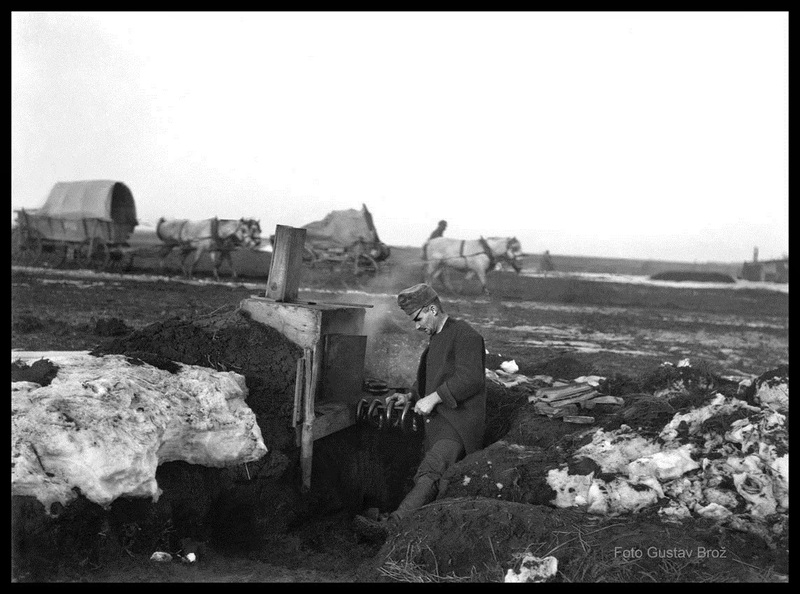 All experts agree on the high and relevant value of these images that show somehow three different stories on different fronts of the Great War. The war of Gustav Brož was on the Italian and Russian front, while Jan Myšička collected his pictures on the Hungarian (precisely in Eger) and Italian fronts. Jenda Rajman’s name is connected with the images of the hospital of Podmelec (today Slovenia). Before ending this post with the information and tips to reach this important exhibition in Milan, we wish to give you at least one link related to Gustav Brož from where you may start catching by yourself the incredible prowess of this group of Czech soldiers equipped with cameras. 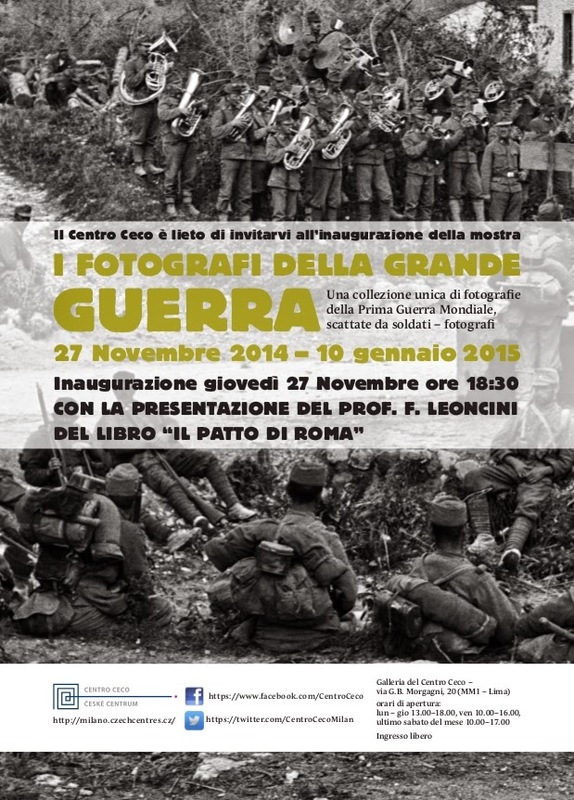 "I fotografi della Grande Guerra" / “Photographers of the Great War"
last Saturday of the month 10.00-17.00.